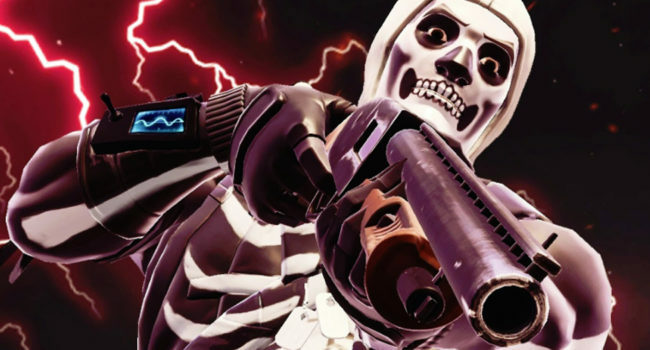 Skull Trooper is a skin in Fortntie: Battle Royale. It was introduced in the Fortnitemares 2017 updated and made a combat in Season 5. The Harvesting Tool that goes with it is known as The Reaper and can be easily substituted with a scythe for your Halloween costume! 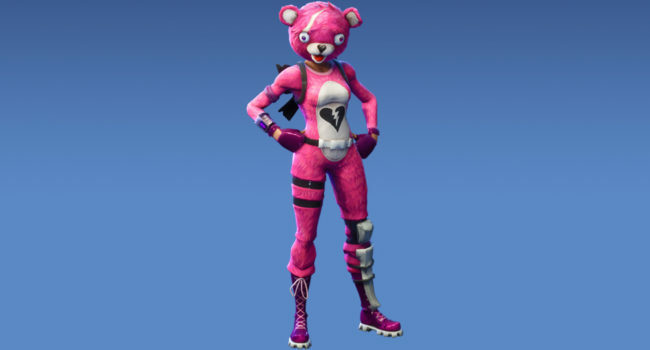 In Fortnite, Cuddle Team Leader is a pink bear skin from the Royale Hearts set. You can go with the simple hooded look with just the jumpsuit, or tuck it in and go big with the separate mask. Tie a black bowtie and attach it to a small black backpack to make a Cuddle Bow and complete the set. In Fortnite, Teknique is an unlockable skin as part of the Aerosol Assassins set. With the motto “spray up a storm”, she turns spray paint graffiti into an art. Add detail to your costume by painting “TILTED” on the cap, and duct taping together a crow bar and long paint roller for your pickaxe tool. In Fortnite, Raptor is a Royal Air Force test pilot. As you can see from his skin, is he ready to handle anything, equipped with everything from a headset for comms to a shovel to dig holes. OK, so that’s basically all he has. In Fortnite, the Survival Specialist is one of the more understated skins in the game, especially compared to ones like Rabbit Raider and Power Chord. But there’s no denying it’s one of the most practical ones from a gameplay standpoint. Bring on the noise complaints with this ferocious pink outfit from Fortnite. Show your punky side with this legendary skin that features the six string back bling and a tank top that’s apparently been tattered in countless battle royales. In the battle royal game Fortnite, you can dress up with the Rabbit Raider skin to show your celebration for Easter. The bright Pastel Patrol colors make it easy to spot you from a distance, but hey it’s worth it. Tweak this costume with a white bunny suit if you prefer the Bunny Brawler.